What has wire jewelry got to do with rain? 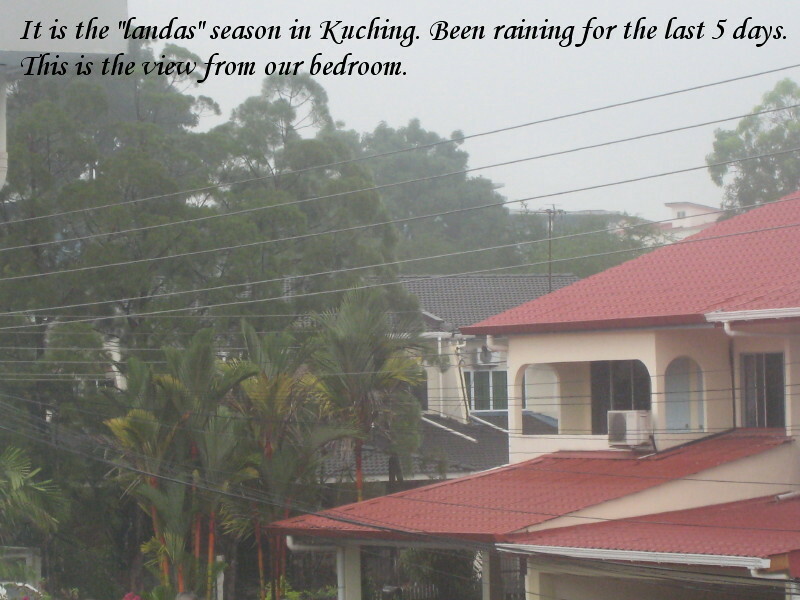 Well, it is the "landas" season (wet season) here in Kuching and it has been raining days and nights for the last five days. 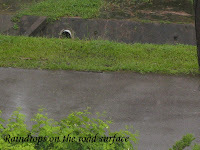 Luckily there is no major flooding except for a leaky roof. Water have been dripping down on William's bed for the last 4 nights. So, for now he is sharing our king size bed. He must be hoping the water keep dripping as he likes his current spot. 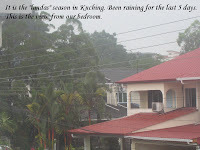 Must get the roof fix once the wet season is over. Actually, I was looking forward to stay inhouse during the rainy days and make more wire wrapping but that was not meant to be. Headache attack again and this time it lasted the whole weekend (3 nights and two days!!). Can you imagine that? Really spoil my whole weekend plans....hmmm! Spent most of the time lying down (half asleep) as the throbbing pain just won't go away. 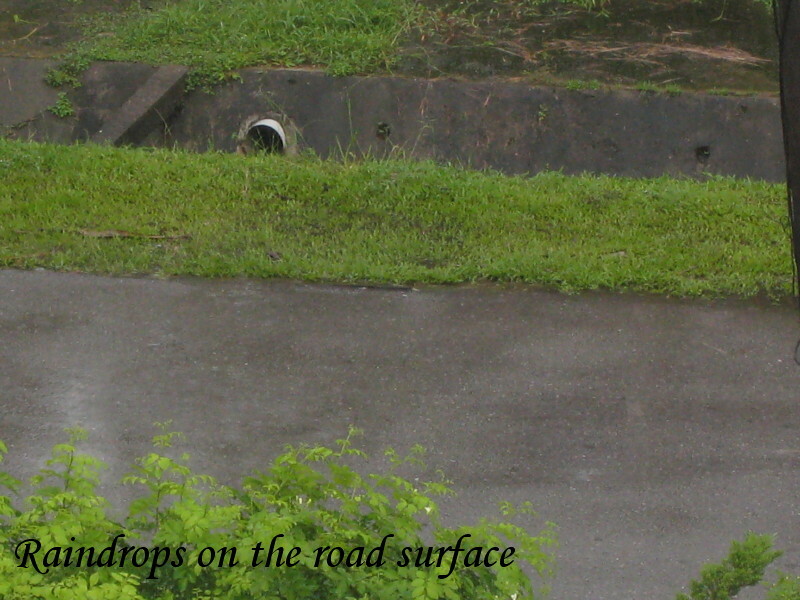 In between that boring time, I took some pictures of the rainy days from the bedroom. Enjoy them......also an earring and pendant for your viewing pleasures. Labels: Earrings , Necklaces | Pendants , Wire Jewelry Share it! 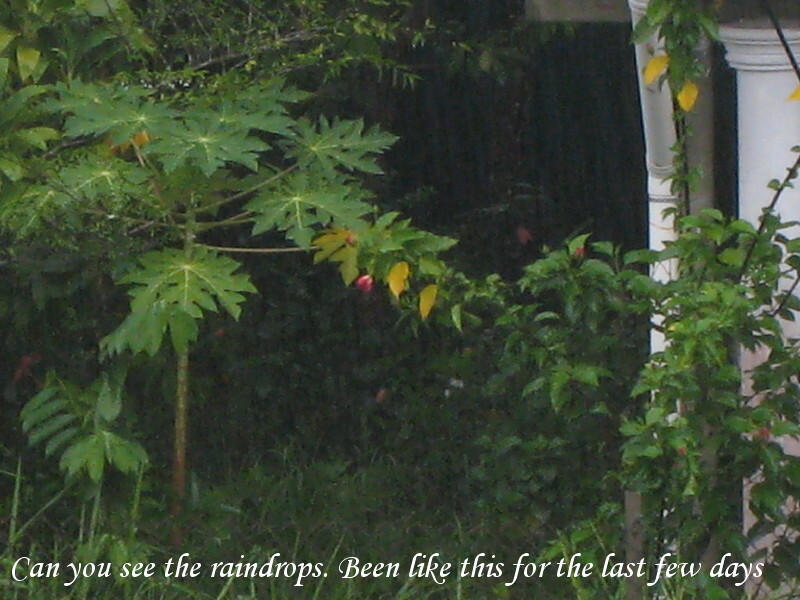 I hope the rain stops soon. The sun is finally out this morning and still is at 1pm. 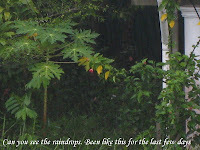 I bet it will rain again this evening or tonight as I can see the black clouds moving in from the coastal area.